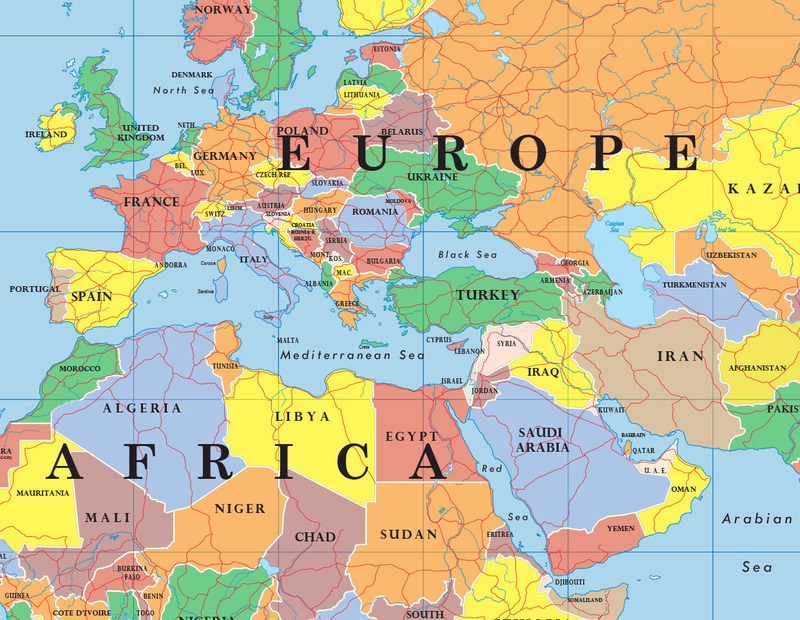 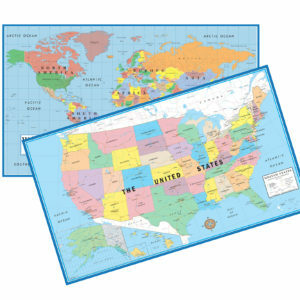 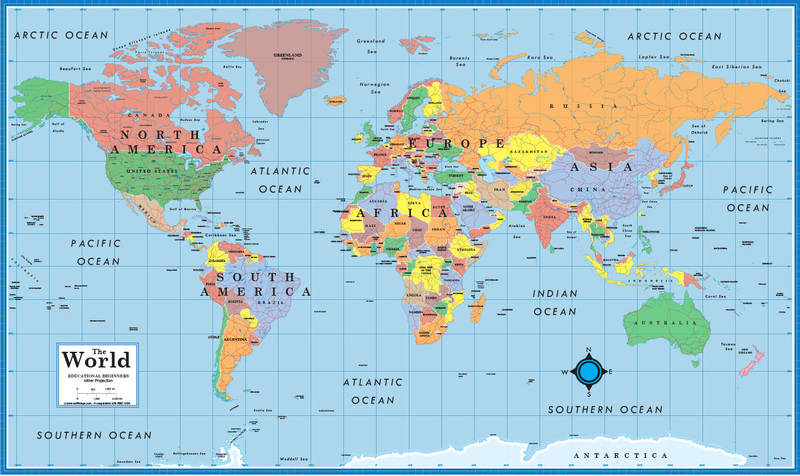 Swiftmaps World and United States, US, USA Educational Beginners Level K-5 series laminated wall map poster set. 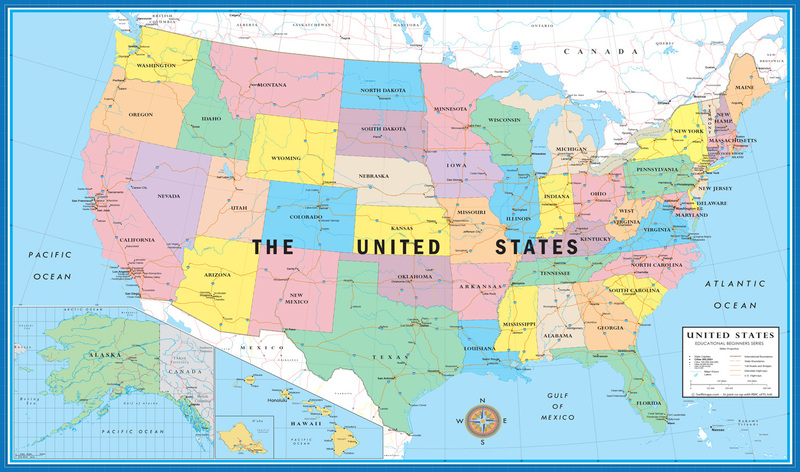 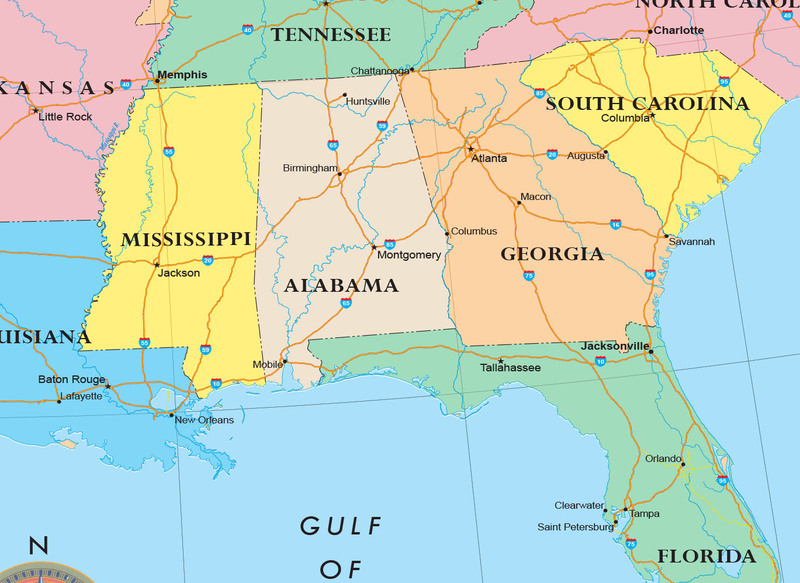 Two maps – one USA and one World. 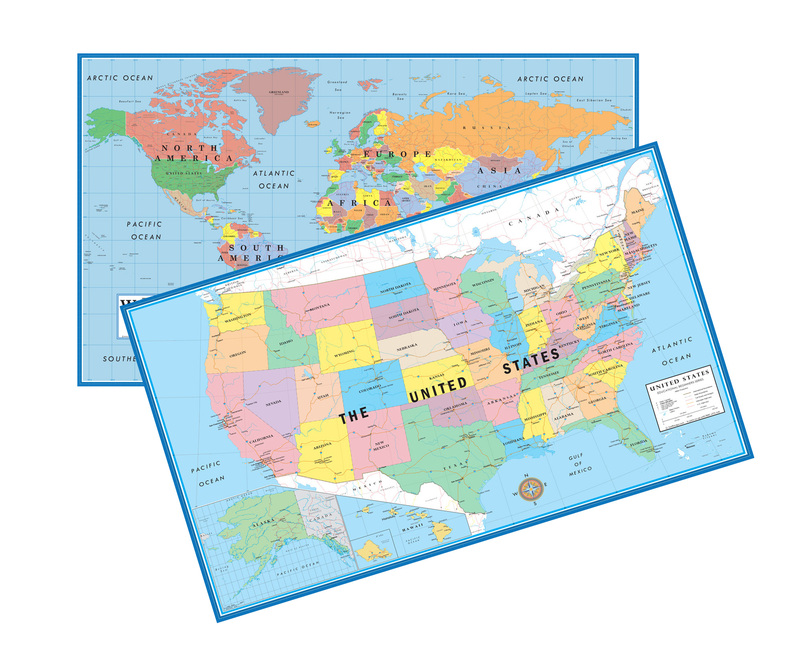 Available in 30×50, 48×78 and 60×96 inch sizes!